I have a flexible rule with myself that if it is dry and sunny, I have to go for a ride. 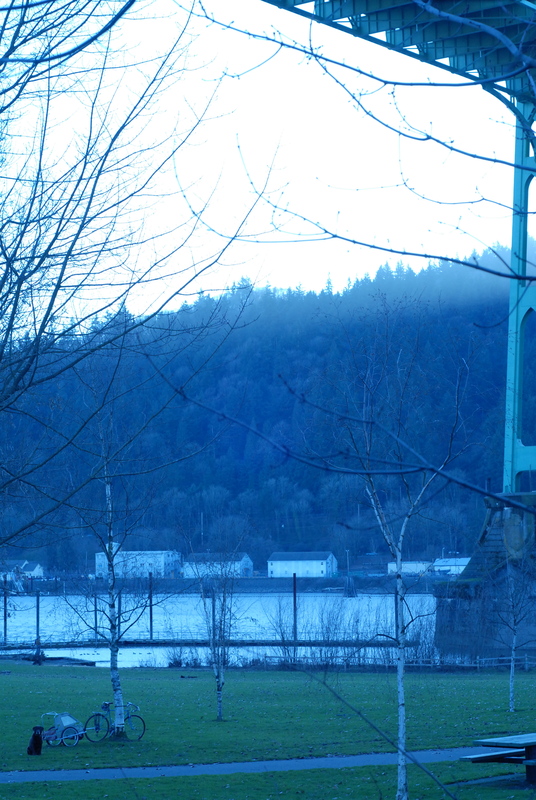 On Friday I did the loop from NE to the Broadway Bridge, up the NW frontage road to St. Johns bridge and back. On Saturday I road back out to St Johns' with Bello, a baseball bat, and his tennis ball- He ran so fast! He was on fire!